Wishing you strength in Faith, Hope and Peace in 2011! 1) Will do my best to keep things simple! 2) Bring great photography and interesting stories to my Blog! 3) Make more time to have dinner and connect with family and friends ! 4) Join the Gym and cut down on my sugar intake! 5) Try not to get lost in non productive stress related issues! 6) Spend more hours at Barnes and Noble reading! 7) Gather tools to make me better! 8) Share more than I did last year! 10) Find Joy in each day of 2011! Ok, I made my list and waiting for you to write down yours! The year is all yours to create and live like you dream! The first blog of the New Year brings you Tomas Maier. 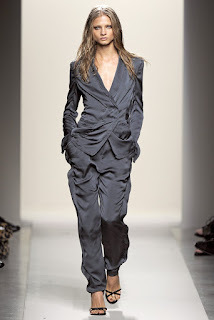 The Designer for Bottega Veneta To say he is a perfectionist is an understatement. At 53 he dropped the "H" from Tomasto bring symmetry to his name. Maier refuses to live in Milan. He mentions that the city has too many design flaws and is too frustrating to bear. 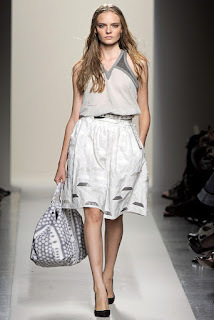 He spends much time in airports between his home in Florida and the Bottega's office located in Milan. Under Maier's guidance, Bottega - which was "weeks away from bankruptcy" when he started - has seen sales increase 800 percent in the past nine years. Part of that is attributed to the Cabat bag Maier created- one of the label's top selling items. It features no logo, no hardware, and no adornments, but carries a six thousand dollar price tag. When he first joined Bottega, Maier notified his bosses at Gucci Group, that in his first year of designing for the brand, he would give no interview and run no advertising. Tomas is also anti-materialism. He does not own six hundred suites. But only owns two. He applies that feeling to how people should shop, insisting that Bottega's goods are not beyond the reach of the middle class. Only buy one! People have been trained to buy too many things.